Niccirose a definite starter at home - but a Stock Up run up in the air. That was the news this morning from the Scott Singleton stable in regard to Hawkesbury plans tomorrow for his pair of dual venue acceptors. Locally-based Singleton confirmed Niccirose (Tye Angland) would take his place in the Melrose Access Hire Provincial & Country Maiden Plate (1300m) at the twilight program rather than a 1280m Maiden Plate (1280m) at the corresponding Orange meeting. But he is tossing up whether to also keep hat-trick seeker Stock Up at home for the Reward Homes Benchmark 64 Handicap (1500m) or give her the opportunity to chase a Saturday win in town at Rosehill Gardens on Saturday. “I’ve changed my mind a couple of times about where to run her and am still weighing up which way to go,” Singleton admitted. “It’s not about the prizemoney (there is a $90,000 gap between total purses at Hawkesbury and Rosehill); it’s about what’s best for Stock Up and trying to keep her winning momentum going. “There’s a 10kg difference in weight (60kg at home and 50kg at Rosehill) to consider also as she isn’t a big mare. Singleton plans to start both Niccirose and Lexi’s Choice (Jess Taylor) in the Provincial & Country Maiden at Hawkesbury – and has changed gear on both. Niccirose has blinkers off and winkers back on, whilst it’s the opposite with his stablemate. Lexi’s Choice will race in blinkers and a nose roll – and winkers come off. Singleton has formulated riding plans for both horses. “I’ll instruct Jess (Taylor) to let Lexi’s Choice roll along and try and run them off their legs, whereas I want the other horse (Niccirose) to be ridden off the pace,'' he said. “Lexi’s Choice ran well first-up (when just beaten by Wild Kingdom over 1300m at home) then went a bit too slowly and was outsprinted when seventh to Heavenly Thunder over the same distance here last time on November 14. 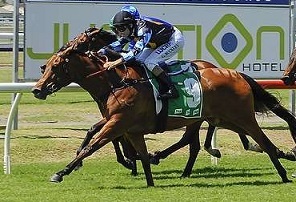 “Niccirose ran second on debut at Orange, then raced keenly when fourth over 1100m at Hawkesbury on November 8. Singleton also runs Mosht Up (Taylor) in the Hawkesbury Gazette & Courier Maiden Plate (1100m) and says the lightly-raced filly is capable of surprising. “Mosht Up (who will race in winkers) is going really well at home, but this looks quite a competitive race,” he said. Wyong trainer Damien Lane has plumped for Snip ‘N’ Stare (Grant Buckley) as his representative in the Australian Security Fencing Class 1 Handicap (1000m). He also accepted with Buckin’ Beauty (both fillies are in good form), but she goes to the Kensington meeting on Thursday. “Snip ‘N’ Stare is raced by a syndicate of new owners to our stable who leased her from the stud where she was born,” Lane said. “I did give her a short preparation as a two-year-old, but she wasn’t ready to race. “Snip ‘N’ Stare won a 845m trial at home at Wyong on October 22 and then finished off well to make a winning debut over 900m at Newcastle on November 10. “She is a nice filly who has trained on well and should get a good run from a soft draw. Lane has prepared nine winners already this season and takes four horses to the Hawkesbury meeting. His other runners are Montana Thunder (1100m Maiden Plate), Captain’s Legend (PolyTrack Class 1 & Maiden Plate, 2100m) and Sharp Speedo (Lander Toyota Class 2 Handicap, 1300m). Josh Parr rides Montana Thunder, Jake Hull has the Captain’s Legend mount and Snip ‘N’ Stare’s rider Buckley partners Sharp Speedo, who will race in a lugging bit. “Montana Thunder has had his issues and ran a cracking race when just beaten at Hawkesbury earlier in the month at his first start as a five-year-old,” Lane said. “Captain’s Legend has been runner-up at his last two starts at Newcastle over 1850m and looks as though he will appreciate the step up in distance. RACE 1: HE’S IMPOSING, Nivelle, Rock Zone. RACE 2: BARE NAKED LADY, Lancaster Bomber, Snip ‘N’ Stare. RACE 3: LAGARDE, Dream Genie, Montana Thunder. RACE 4: CHECKSUM, Aurman Zou, Zalatte. RACE 5: POLHAMPTON, Celosia, Bid To Fame. RACE 6: FRONT VIEW, Commentator, Tokyo King. RACE 7: STOCK UP, Gayatri, Celer. RACE 8: ATTRACTED, Lilith, So Magic. BEST: CHECKSUM, FRONT VIEW, STOCK UP.